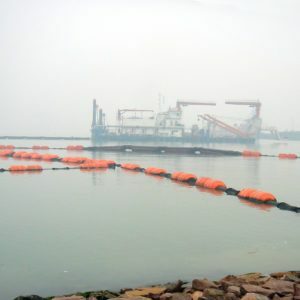 These floating hoses are designed for the transportation of crude oil and liquid petroleum products between loading and unloading vessels at offshore moorings systems. 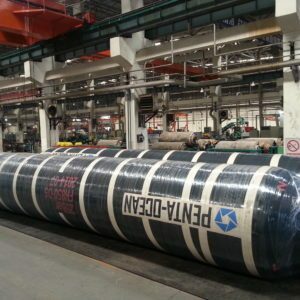 Floating oil and marine hoses are designed and produced in full accordance to OCIMF standards. These porducts are also subjected to manufacturing and testing requirements dictated by ISO9000:2001 quality standards. The flaoting hoses will have an RWP of not less than 15bar, 19bar and 21bar hoses are also available if specified by the customer. They are suitable for operation at an internal pressure from minus. 0.85bar to the RWP. 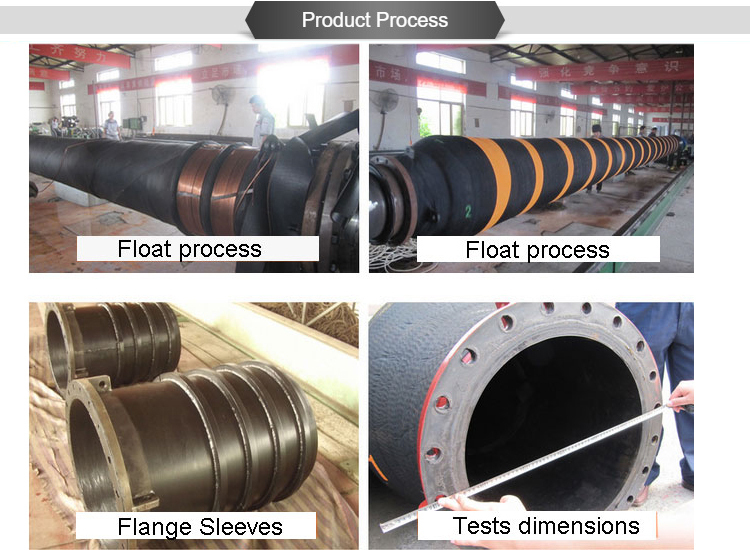 The lining of the floating oil hose is made using an elastomer and fabric suitable for continuous operation at a flow velocity of 21m/s. The floating oil hose is suitable for crude oil and liquid petroleum products from-20℃ to +82℃,and an aromatic hydrocarbon content not greater than 50% by volume. 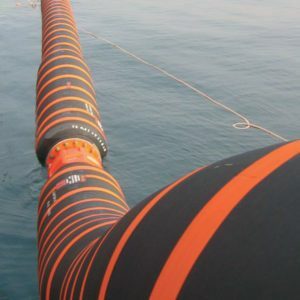 For electrically continuous hose, a low resistance connection will be provided by the copper wire and helix steel wire. 1. Independent foam floating casing to prevent water absorption. 4. Customized steel flanges are available.